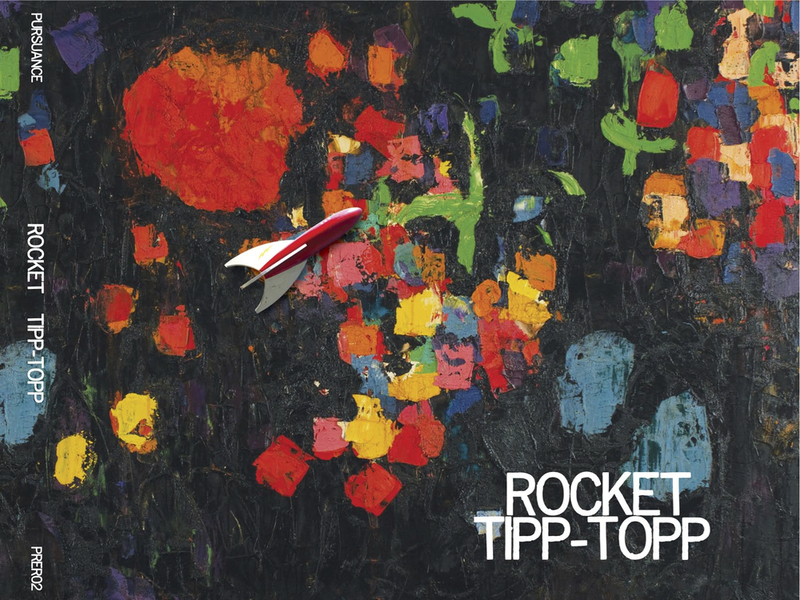 “The first thing that strikes you about Rocket is the freshness and originality of their sound. You can recognise the influences of electric Miles, Fela-like grooves as well as more recent European club jazz sounds such as Nuspirit Helsinki, all of which are synthesised into something that sounds totally fresh. ‘Rocket do not play “Disco Jazz.” They do, however borrow from many a genre (including disco) besides their Latin-tinged fusion baseline. Lead by keyboardist Emanuel Ruffler, the tracks on their debut “Tipp-Topp” are smooth and soulful, but with a bite. Ruffler surrounds himself with a killer rhythm section and an assortment of horn players, preferring to add colors and depth to their often muscular and poetic solos. A lot of this will sound like Weather Report or Herbie Hancock in a quick listen, but a deeper inquiry will reveal original and impressive touches beyond the giants of this style. This merry li’l Jazz-Funk album laid siege to my car’s music machine most all the way back North from CT’s Jazz and Electronica fests. The outfit’s name references one of legendary Jazz pianist Herbie Hancock’s biggest hits, ‘Rockitt’, but its music digs even deeper into Hancock land. 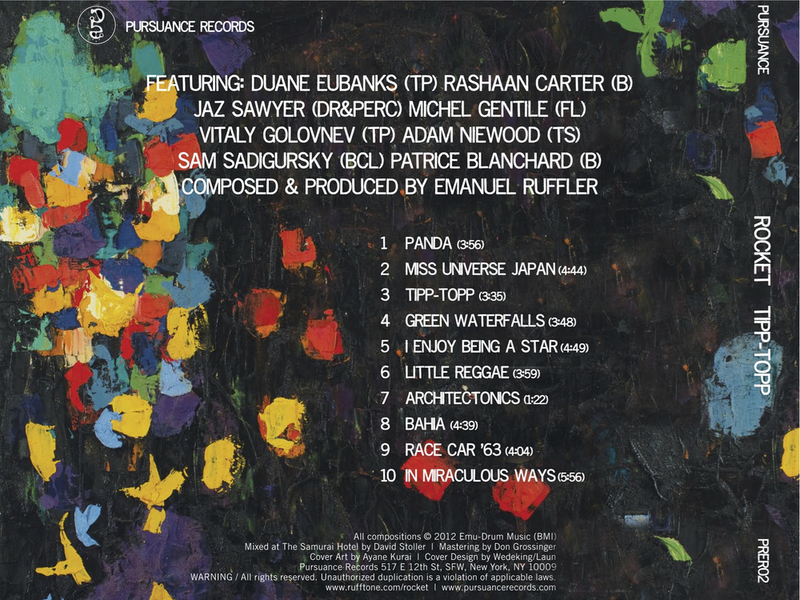 Most specifically, said pianist’s foray into Funk via the perpetually sampled, mid-70’s albums ‘Headhunters’ and ‘Thrust’ – remember Digable Planets’ ‘The Rebirth of Slick (Cool Like That)’? That was one of what became dozens of Jazz, Hip-Hop and Trip-Bop tracks to borrow, steal or tip the ol’ hat to The Headhunters’ POW. All this highly specific name dropping should just about drop Rocket into the abyss of Cheeez (especially as the brief brilliance of keyboard-led Jazz-Funk – as exemplified by Hancock’s Funk season – was Smothered in cheese, only surviving due to its foundation of genius). Rocket, somehow, not only survives the fall, it swoops back up, mid-way, all Iron Man-like.Founding keyboardist Emanuel Ruffler digs deep into his grooves, bringing in select contemporary heavyweights Duane Eubanks (for trumpet duties) and Patrice Blanchard (for chunky Bass) to simultaneously evoke that brief season of Jazz-Funk brilliance, and update it for today’s more demanding sound systems. The Goodness.